With more than 35 years experience designing custom jewelry, the jewelry professionals at The Menagerie will help you create the perfect diamond engagement ring, or help you select the right wedding band for you and your fiance! 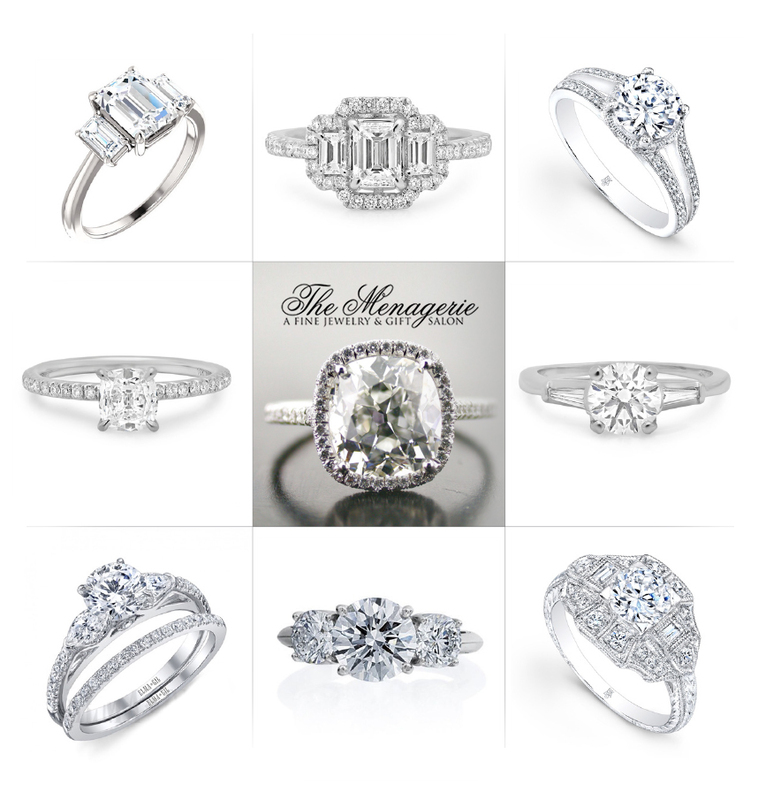 For decades, The Menagerie has been one of the most trusted names in jewelry in central Texas. Their outstanding collection of jewelry includes brilliant diamond engagement rings, men’s and women’s wedding bands and an extensive collection of hand-picked bridal jewelry designs! Let your lucky left finger sparkle with one of their gorgeous engagement rings. These are just a few of our favorite designs! Stop by or visit The Menagerie online, and you’re sure to experience The Menagerie Difference.